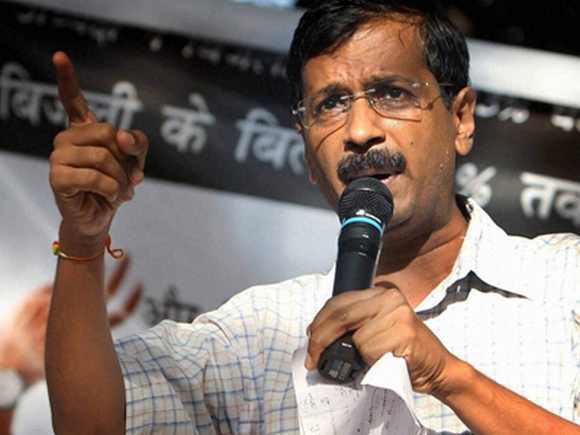 The Delhi Bharatiya Janata Party on Saturday attacked Chief Minister Arvind Kejriwal over his foreign visit, alleging that he has travelled to Dubai with “a hidden agenda”, but the Aam Aadmi Party dismissed the charge as “outlandish”. Delhi BJP chief Manoj Tiwari tweeted about Kejriwal’s trip on Friday night hitting out at him for leaving the city at a time when Delhiites were facing air pollution crisis. Questioning the motive behind the chief minister’s visit, Leader of Opposition in Delhi assembly Vijender Gupta told reporters on Saturday that Kejriwal “suddenly” left for Dubai on November 8 by Air India flight and will be back on November 11. He alleged that the information about the visit has been “hidden” as there is something wrong. However, AAP spokesperson Raghav Chadha said in a press conference that Arvind Kejriwal has gone “abroad” to attend a family function of his IIT batchmate. He denied BJP charges as outlandish. “The silence of Aam Aadmi Party about his trip proves that there is something wrong. It is clear that there is a hidden agenda behind this visit,” the BJP leader alleged. “This trip is not being called an official visit or a family trip. What is the purpose of this Dubai visit, what is the agenda, where will he be staying and whom will he meet? Why is all this information being hidden?” Gupta questioned. “It is to be noted that the contractor responsible for providing door step delivery in Delhi under AAP government scheme also lives in Dubai,” he claimed. Gupta attacked the AAP government saying both Kejriwal and his deputy Manish Sisodia were out at a time when the pollution situation in Delhi is alarming.